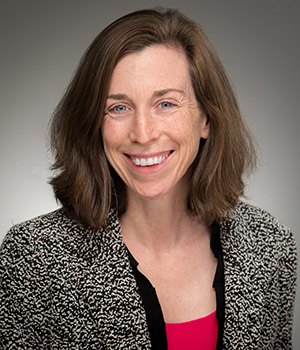 Eileen Hunt Botting, professor of political science at the University of Notre Dame, has been appointed director of merit scholarship programs at the University. She succeeds Joseph Buttigieg, who is retiring at the end of the academic year. In a restructured position, Botting will oversee the Hesburgh-Yusko Scholars Program, Stamps Scholars Program and other merit-based scholarship programs at the University. She will advise students with merit scholarships, mentor those who are preparing proposals for summer enrichment experiences and develop lectures, colloquia, discussion forums and other supplementary learning opportunities. She also will maintain and expand relationships with University leaders, donors, staff in the Enrollment Division and members of the campus community involved in merit scholarship support. A member of Notre Dame political science faculty since 2001, Botting is a political theorist whose scholarly interests include 17th- through 19th-century political thought; theories of human rights, women’s rights and children’s rights; bioethics; and comparative, international and feminist approaches to the history of political thought. Her most recent book is “Wollstonecraft, Mill, and Women’s Human Rights,” published last year by Yale University Press. With a fellowship from the American Council of Learned Societies, she has completed a book titled “Mary Shelley and the Rights of the Child: Political Philosophy in Frankenstein,” which is forthcoming from Penn Press in October. Botting is a fellow in Notre Dame’s Kroc Institute for International Peace Studies and Nanovic Institute for European Studies and the Massachusetts Historical Society. The Hesburgh-Yusko Scholars Program is a merit-based scholarship and leadership development initiative that equips students to have a transformational impact on the world. It is named for the late Rev. Theodore M. Hesburgh, C.S.C., Notre Dame’s president from 1952 to 1987 and one of the 20th century’s most influential leaders in the Catholic Church, higher education and national and international affairs, and Mark W. and Stacey Miller Yusko, who underwrote creation of the program with a generous gift in 2009. Hesburgh-Yusko scholars are evaluated according to four criteria: demonstrated leadership ability, distinguished academic accomplishment, sincere commitment to service and exemplary moral character. They receive four years of merit scholarship awards of $25,000 annually toward the cost of attending Notre Dame; intellectual engagement within a community of scholars participating in regular discussion forums, local initiatives and social activities throughout the academic year; four summer enrichment experiences based upon wilderness leadership, social justice, global inquiry and professional venture; and guidance and support from a dedicated program staff and faculty mentors. The Stamps Family Charitable Foundation, established in 1986 by Penny and Roe Stamps, sponsors multi-year merit scholarships at 41 institutions across the United States with the goal of helping exceptional students become meaningful leaders throughout society. Stamps Scholars are among the recipients of other prestigious awards, including Rhodes, Fulbright, Goldwater, Marshall and National Science Foundation scholarships. The Stamps Family Charitable Foundation and partner schools share the costs of the awards, which at Notre Dame cover scholars’ tuition and fees, as well as an enrichment fund for expenses related to experiences such as conferences and travel. Originally published by Dennis Brown at news.nd.edu on May 12, 2017.